What are the Biblical arguments against modalism? Modalism, or Sabellianism, is the belief that the three persons of the Trinity (God the Father, God the Son, and God the Holy Spirit) are simply three "roles" or "modes" of the same person. This view is labelled as a heresy by many denominations. What are common Biblical and theological arguments against modalism? Biblically the biggest problem with modalism is that you end up having God talking to himself several times in the NT. The idea of modalism is simple enough - God has different "modes" of being, kind of like an actor who simply appears with different masks in different situations . If the same person is merely appearing in multiple forms simultaneously, there are some weird situations in Scripture that result, and have implications that are dicey. When Jesus is Baptised, a voice from heaven declares, "This is my son, with whom I am well pleased". If Jesus is just a different view of the same God, why would he say something like this, to himself? It makes God seem a bit arrogant, frankly. When Jesus is on the cross, he cries out "Father, Why have you forsaken me?" How could he forsake himself if he is the same person forsaking and forsaken. Note - specifically in relation to the cross, the view that the Father was on the cross is a heresy known as Patripassianism - from "the Father suffering"
By maintaining the distinct personalities (and personhood) of each part of the Trinity, you avoid all of these ridiculous to downright bad implications. 1 Or kind of like the Doctor meeting his past selves, crossing the timelines, and somehow necessitating running up and down corridors a lot. But I digress! 2 Note - Substitutionary Atonement is only one theory of salvation, so even if you could some how prove Modalism true and S.A. false, it wouldn't deprive us of salvation - it would just upset a lot of people who think this legal metaphor is the only theory that describes salvation. Any scripture that proves the Son pre-existed is contra-Modalism. For example, John 17:5 wherein Jesus states that he had glory with the Father before the world existed. In order to counter this, Modalists will insist that Jesus had glory with the Father as a "plan" in the mind of the Father before the world existed. Creative, but eisegetical, and thus fallacious. Modalists deny the pre-existence of the Son and insist that the "Son" only began to exist when he was born at Beit-Lechem. The argument against modalism is that the Trinity is made of three distinct Persons, a topic which is addressed here: When talking about the Trinity, what does "persons" mean? As for what the Modalists believe: God was said to have three "faces" or "masks" (Greek πρόσωπα prosopa; Latin personae). Modalists note that the only number ascribed to God in the Holy Bible is One and that there is no inherent threeness ascribed to God explicitly in scripture. The number three is never mentioned in relation to God in scripture, which of course is the number that is central to the word "Trinity". The only possible exceptions to this are the Great Commission Matthew 28:16-20, 2 Corinthians 13:14, and the Comma Johanneum, which many regard as a spurious text passage in First John (1 John 5:7) known primarily from the King James Version and some versions of the Textus Receptus but not included in modern critical texts. Not the answer you're looking for? 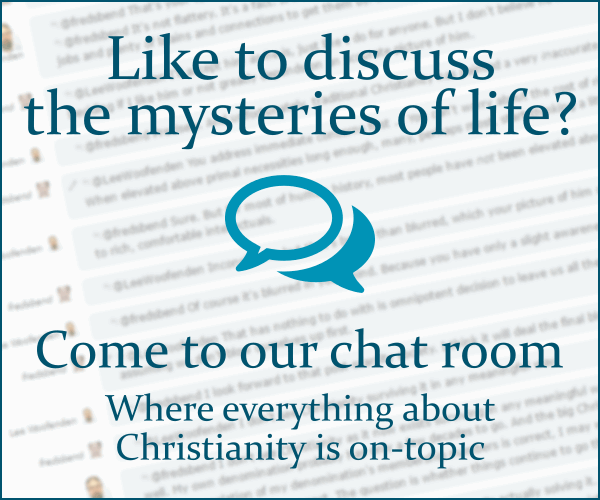 Browse other questions tagged biblical-basis modalism or ask your own question. When talking about the Trinity, what does “persons” mean? Is there any biblical justification for referring to God as Mother? What is the Biblical basis for binitarianism? What are the biblical arguments for and against the “two books” view of God's revelation? What is the biblical basis for the personhood of the Holy Spirit?